The uPlay tablet T931 is the first 9″ HD (1024×600) Android 4.2 tablet with dual cameras under $100. It has a powerful ARM Cortex-A7 based AllWinner A31s 1.2GHz. The uPlay T931 runs Google Android 4.2 Jelly Bean operating system (Android 4.4 is optional), features a multi-touch 9-inch HD 1024×600 pixel capacitive touch screen, plays super 2160p HD video, and has both front facing 0.3 mega pixel and rear facing 2.0 mega pixel camera for shooting video, and video conferencing, 2MP for still pictures. Categories: 9" tablets, Custom built tablets, Tablets, uPlay tablets. 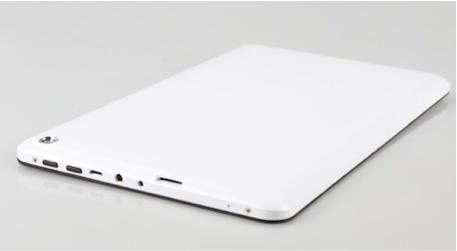 Tags: 9" tablet, Android 4.2 Jelly Bean tablets, Custom built tablets, IPS screen, OEM tablets, uPlay tablet T931, uPlay tablets. In stock ( Shipping from our factory in China for all customers). 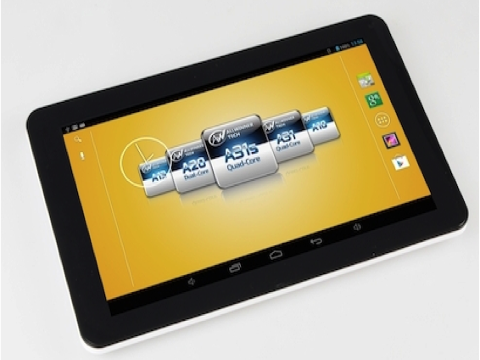 The uPlay tablet T931 is the first 9″ HD (1024×600) Android 4 .2 tablet with dual cameras under $100. It has a powerful ARM Cortex-A7 based AllWinner A31s 1.2GHz. The uPlay T931 runs Google Android 4 .2 Jelly Bean operating system ( Android 4 .4 is optional), features a multi-touch 9-inch HD 1024×600 pixel capacitive touch screen, plays super 2160p HD video, and has both front facing 0.3 mega pixel and rear facing 2.0 mega pixel camera for shooting video, and video conferencing, 2MP for still pictures. The highlight of uPlay T931 is its 9 inch 1024×600 capacitive screen , dual cameras, and low price. uPlay GT90X has a powerful All Winner A20 1.2GHz CPU with integrated Mali-400 GPU. The NOVO uPlay GT90X runs Android 4.2 Jelly Bean operating system, features a multi-touch 9-inch 800×480 capacitive screen , 1GB high speed DDR3 RAM, and supports hardware accelerated FLASH and HTML 5 video. uPlay GT90X tablet also features both front and rear 0.3MP camera for video, and 2MP for still image, and supports 1080P Full HD video playback. With the 3G (with external dongle) and Wi-Fi connection (support 802.1 b/g/n), you can browsing the web anywhere and anytime. uPlay T931 also has other functions, such as HDMI output, E-book reader, audio and video playback and so on. 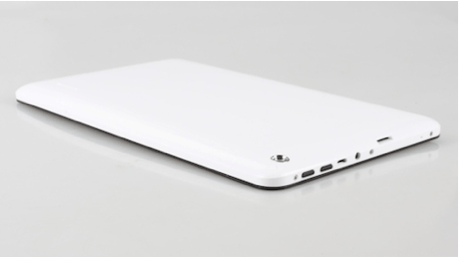 uPlay T931 Android 4.2 tablet is powered by 5000 mAh battery (Standby 12 days, Web 5 hours, video 4 hours). uPlay T931 is running Google Android 4.2. Google’s first Android OS is 3.0, which turned out to be just a demo. Android 4.0 is the first single OS designed for both phone and tablet. The user interface is similar to Apple iOS, but also has a few features that are quite neat and unique. You can even merge the file folders like in iOS, switch between multi-tasks, plus all new widget tools. Android 4.2 Jelly Bean is the latest version released in June, 2013.
uPlay T931 has a pure English version of Android 4.2 installed. uPlay T931 is running the latest ARM Cortex-A7 (big.little) based A31s with integrated Mali 400 GPU. AllWinner ’s A10 was the first CPU they released at the end of 2012 for the Chinese market. Because of its top performance and low price, it grabbed a large market share from RockChip. A31s is their forth generation and it is based on the latest ARM Cortex A7 big.little archacture. It is dual-core, and the CPU frequency is quit high: 1.5 GHz. It has very good performance for 3D games, Super HD video, and web surfing, while maintains low power for long battery life. 1GB DDR3 RAM – DDR 3 is the latest DRAM technology and runs 2X faster than DDR 2, which allows tablet and apps run faster! 1GB is more than enough for a 7″ tablet. The Google Market ( Google Play ) is pre-installed on uPlay T931. Official Google Market access is one of the important factors when buying a tablet. With Google Play you can access and download more than 400,000 apps directly from your tablet. uPlay T931 supports 2160P Super HD , and all and other HD formats in more than 20 file formats, such as MKV, AVI, RM, FLV, WMV. uPlay T931 has 9 inch 5-Point Mult-touch screen 1024×600 pixel resolution. Capacitive screen has much better sensitivity than resistive touch screen. This gives you very good performance for playing games and watching videos. uPlay T931 supports all WiFi standards: 802.1 b/g/n, and also supports external 3G dongles (see supported 3G dongle list at the end for more details). DVFS and Smart MPU on uPlay T931 dynamically adjust the power to save battery. 5000 mAh battery is not biggest, but reasonable in its class. You can enjoy 5 hour non-stop web surfing time and watching videos for 4 hours in one charge. uPlay T931 is probably only $100 tablet that is HD 1024×600 9″ and has both front and rear camera. When you use it for video shooting and video conference, the resolution is 0.3MP. However, when you use it to capture still photo the resolution is 2MP. uPlay T931 has built-in 3 axis gravity sensor. It automatically rotate the screen. Check out our uPlay T931 support forum. Have a question about this tablet? ask your question here. You will get answer by email.